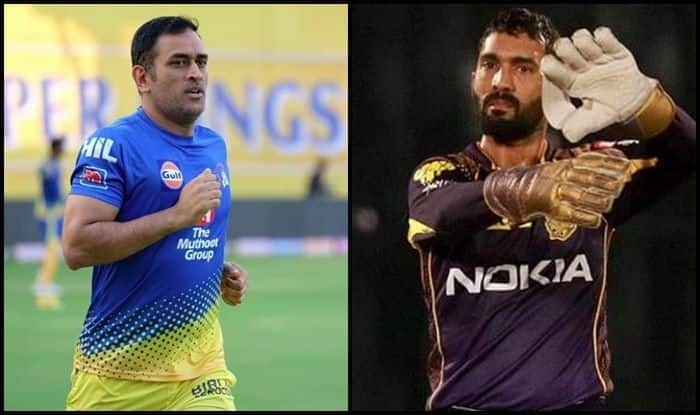 Chennai Super Kings (CSK) won the toss and opted to bowl first against Kolkata Knight Riders (KKR) in the match 29 of the Indian Premier League (IPL) at Kolkata’s iconic Eden Gardens Stadium on Sunday. With the playoffs approaching both the sides will leave no stone unturned to get their A-game on in what is set to be an absolutely cracking encounter. While there were no changes made for the Chennai side, three changes were made for Kolkata as Chris Lynn, Sunil Narine, and Harry Gurney come in for Joe Denly, Carlos Brathwaite and Lockie Ferguson. Table-toppers CSK will look to complete the double against KKR, just like Delhi Capitals did, when the two teams clash in an IPL match here on Sunday. The home side’s consistency has suddenly taken a beating after two defeats on the trot, first in Chennai and then against Delhi Capitals on Friday. The Knight Riders, hence, would be under immense pressure to arrest the slide when they face the mighty Chennai.